Hosting - secure. fast. reliable. We give a home to your data. Whether classical web hosting, own root-server or server-housing. 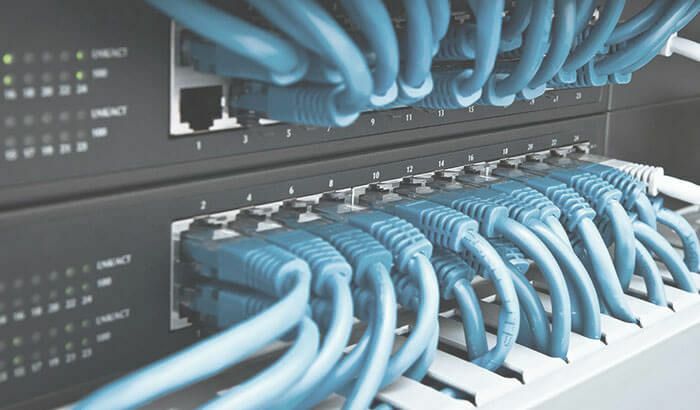 We offer you super fast, redundant and secure connection to the internet. Your data is in good hand with us. Our server room with central location in Tyrol is just enough for highest claims on reliability and speed. Of course optimally air-conditioned, secure access, with uninterrupted power supply and frequent backups. Customers from all over Europe share this opinion and entrust us with their most important business data. Our hosting packages offer the perfect base for your website. Whether it's a small website or a extensive shop solution - we offer the appropriate hosting package. Upon request with update & maintenance guarantee. Register your desired domain or transfer existing domains to us.We'd love to support you during the entire process of registration, data change, transfer or a domain purchase. You have know-how about the administration of servers yourself and look for a fitting offer for a vServer? Then have a look at our offers. Individual solutions are our strength. You have know-how about the administration of servers yourself and look for a fitting offer for a root server? Then have a look at our offers. Individual solutions are our strength. Pay for only the solution that you're currently using. Microsoft Azure for highest scalability and maximum fail-safety. Secure data transfer in the web with SSL. Protect your sensitive data. We help you.